Eman Abu Sabbah joined us by phone at our last virtual meeting. 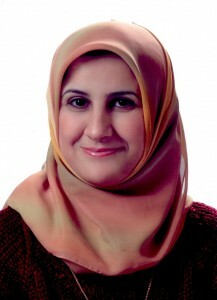 As an experienced maternal nurse in Jordan, Eman has received an AAUW fellowship to work on a PhD in the USA. Her goal is to develop effective interventions for women experiencing domestic violence. In Jordan, the police ignore most laws designed to protect women from violence so women believe they have have no way to protect themselves. Read the summary of Eman’s goals and research here. This entry was posted in General on October 8, 2012 by wahtera.